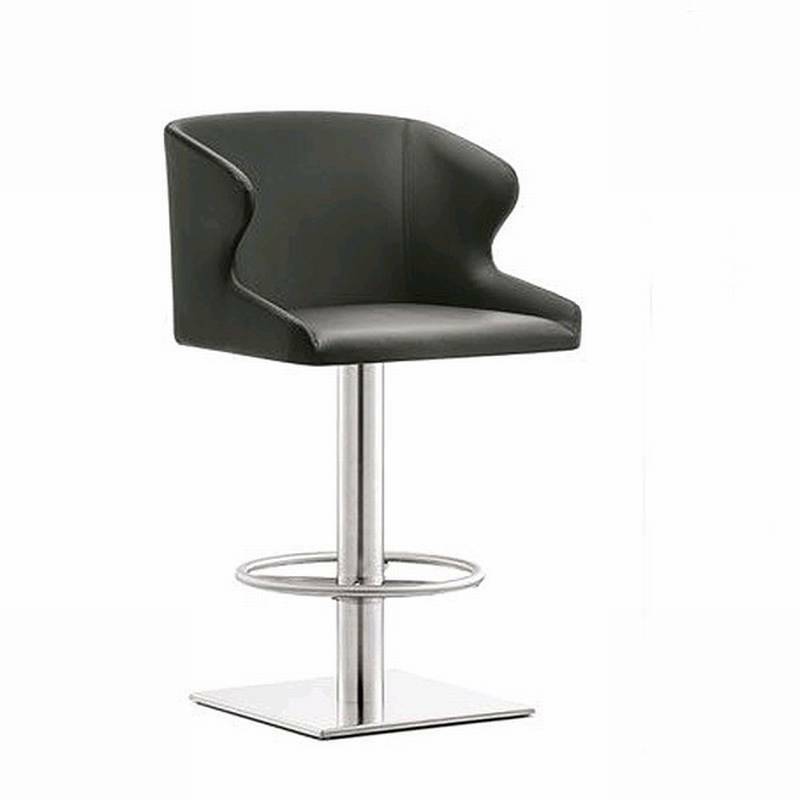 Description An ultra stylish modern stool with soft inviting curves. The seat has an embracing shape, is padded and upholstered in fabric, leather or simil leather (see samples link below for colour options). The steel column, footrest and base is available with a brushed or chromed finish.